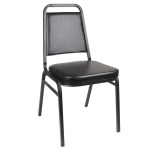 The Royal Industries ROY718B square-back stacking chair easily stacks with multiple chairs for storage. The 18-gauge steel frame is bolstered by additional support bars just below the seat and welded in 14 places, making it durable enough for commercial use. It is also double powder coated, enabling it to resist scratching. The black vinyl upholstery is heavy duty for constant use, and high-density foam padding makes the chair more comfortable to sit in for extended periods. 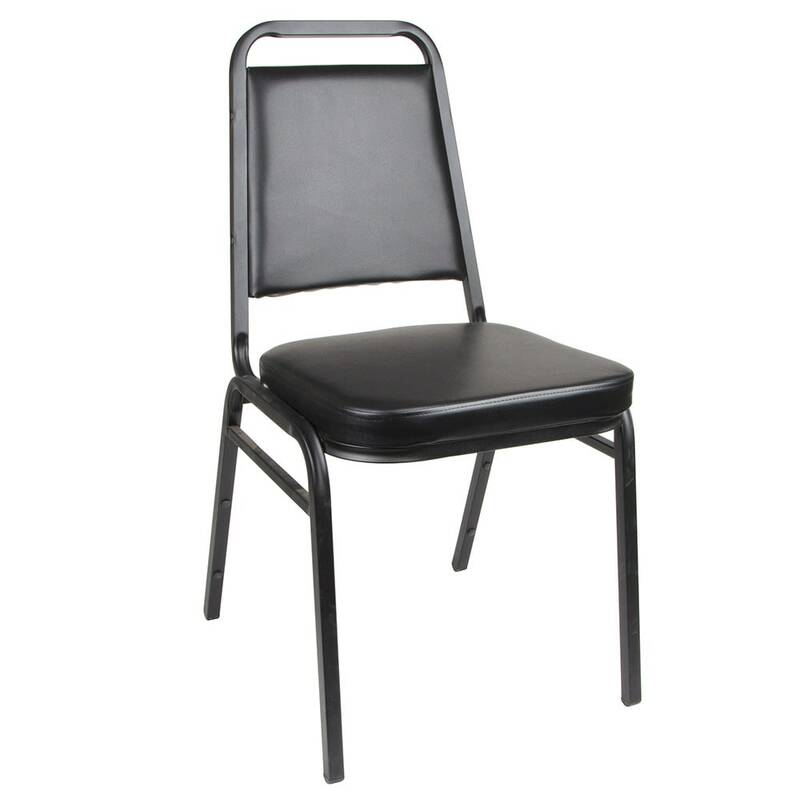 The Royal Industries ROY718B square-back stacking chair is entirely finished in black, so it can easily fit into any establishment.